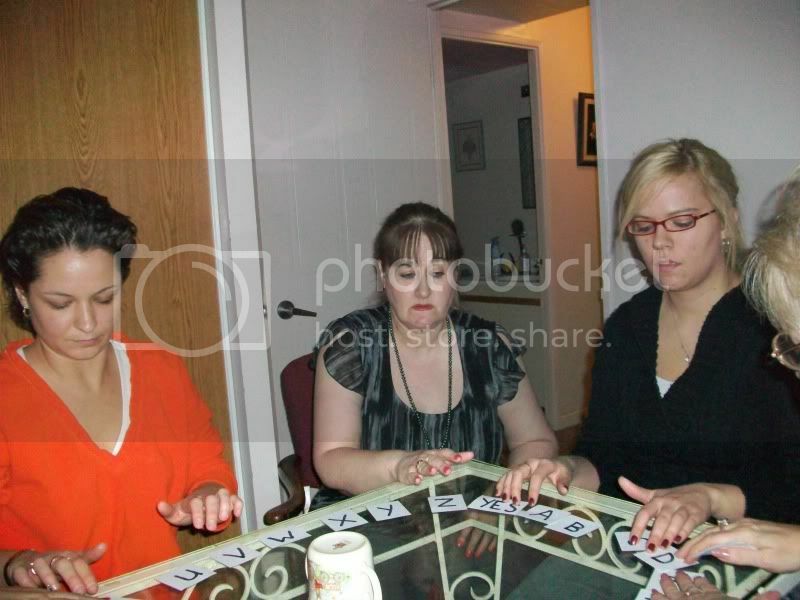 Participants gather around a makeshift Ouija Board at Lorraine's Guelph apartment. 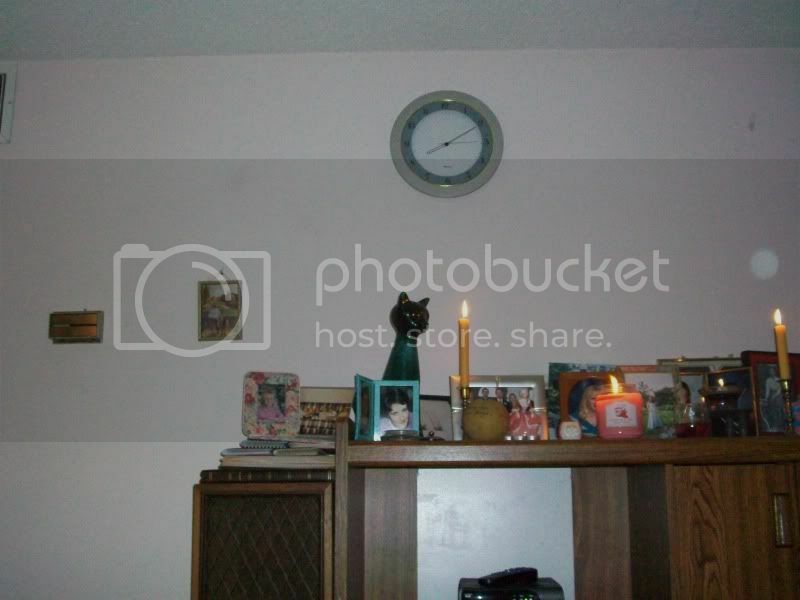 During initial discussions in the living room about the paranormal activity in Lorraine's apartment, a large orb was captured, as if the spirit were listening. 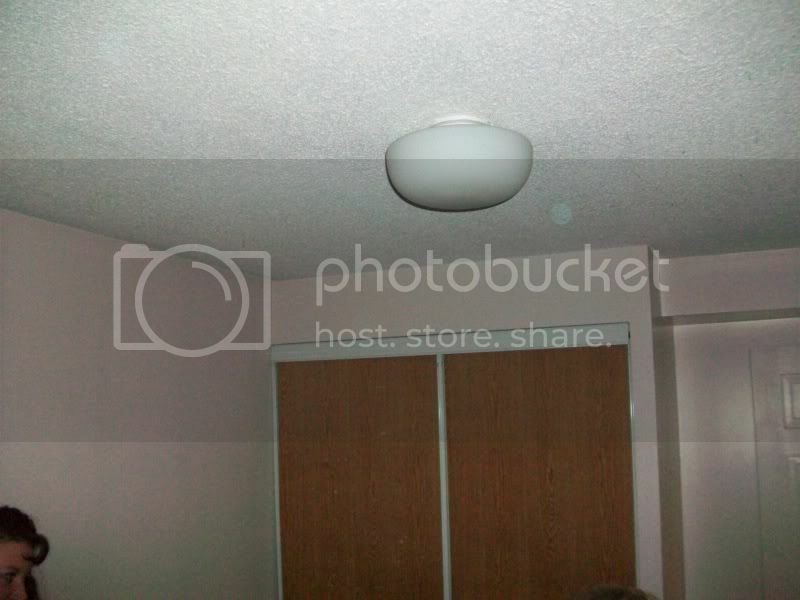 During the seance, an orb was captured on film directly over head. 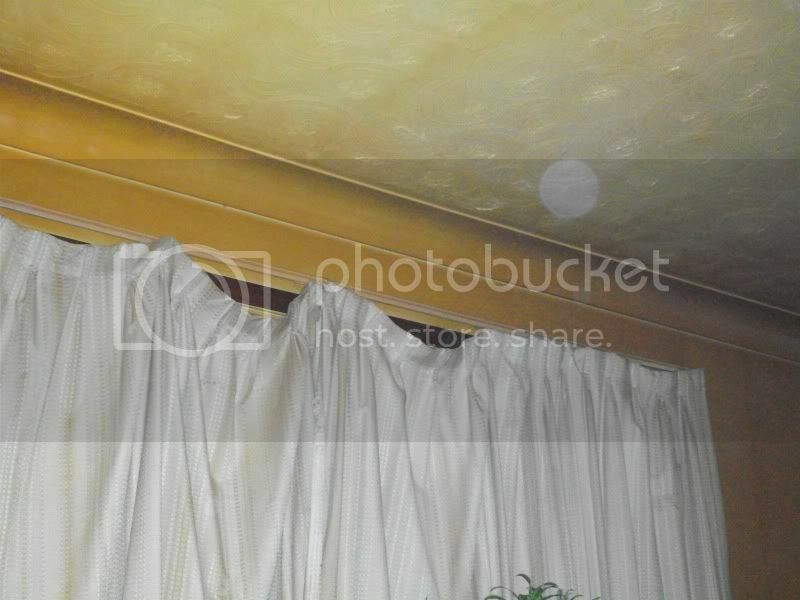 During a break, a large orb was captured just above the balcony door.